Whenever I finish a book, I feel like I’m bled dry. That’s it. I’m no longer a creative person. It’s gone away. And I’m terrified of that possibility. I spend a couple of weeks living my life without a project and this strange emptiness surrounds me. I become restless and irritable. I pray to the writing gods to give me something I can use and sometimes I can feel ideas trying to reach me but can’t quite catch them. Perhaps each of those near collisions help to break down my wall, until finally, something clicks into place. And as soon as it hits, I know it’s my new book. Although just a fledgling, I can always tell when it’s the one. And that’s when my creative energy ignites. The idea grows by the day – the characters coming to life bit by bit as I go about my daily routine. In those moments when everything else is still – when I’m out walking, or stuck at traffic lights, sometimes waiting for the kettle to boil or that surreal space in time just before I fall asleep – the idea is with me and I finally feel like I’ve found myself again. I’ve recently published my fifth novel. It’s no longer an idea, a dream, a goal or (and I hate to admit this) a frustration. It’s a book. I can hold it in my hand and flip through all those pages—the thousands of words neatly printed, side by side, barely representing the agony I went through to get them there. Now that it’s over, I can finally sit back and congratulate myself for making it. Because until publication day—the finish line—everything else is just one tiny step in an impossible journey. And no matter how many times you’ve done it before, it doesn’t get easier. Of course, there are elements of certainty that only experience can bring. Like knowing you have the resilience to make it through the drafting phase and various edits, but with that experience also comes expectation. Because you’ve done it before, you expect yourself to do it faster, you want your characters to be stronger and your plot to be a thousand times more intriguing. But realistically, every book is different and they can’t be written the same way. If I’d gone into this book with that in mind, perhaps I would have saved myself a lot of frustration. But if I’m being honest with myself, there’s truly no point working within your capabilities. How will you ever grow if you don’t stretch yourself? So back on June 6th 2013, I started working on my humble little ghost story. I’d recently fallen in love with ghost stories and plots that moved away from the mainstream concept. Like Anna Dressed in Blood and the Graveyard Queen Series. I took inspiration from those stories and set to work on my own book, using the well known concept of ghosts and twisting it into my own unique mythology. I didn’t want to write about ghosts of dead people who linger around earth until their unfinished business is settled. What if instead, ghosts were an extension of the human psyche? Ghosts of the living, who have the power to manipulate and destroy human lives. Wouldn’t they be far more terrifying? I wrote extensive notes about world building and really focused on creating a strong main character with an intriguing struggle. Daniel Barrow, a young man with a sad past, who’s evolved into a ruthless ghost hunter. I fell in love with the idea of a character who could be a complete badass and a competent killer, but who also has a unique vulnerability. He’s done terrible things but ultimately has good intentions, and he’s fighting for a noble cause. Out of all the characters I’ve written, Daniel instantly became my favourite. Although I can’t directly relate to the horror of his past, I think we’ve all felt trapped by some element of our lives before. And while he accepts his dark fate, it’s his ongoing struggle for identity that really brings him to life. I’ve drafted novels in as little as four months before, but this book, this neat little package of pages, took a whopping 2.5 years from concept to publication. And to be honest, I truly resented the time it took while I was stuck in the middle. But now that I’m finally at the end, I can see that it took so long because it’s far more than one novel. It’s an entire education. I learnt so much in the process of creating this piece, from the fortnightly critiques from the ever inspiring Ellenbrook Writers Group, the seven beta readers who pulled this book apart and helped me glue it back together, the professional content editor and the TWELVE rounds of editing it took to get to the finished product. In the process of writing this book, I became a real writer, and there’s a whole team of people who supported the process. They know who they are, and I’ll never forget their lessons! Aside from the technical elements of writing, I had a few personal speed bumps along the way too. And I can assure you, dealing with a complicated mythology is hard enough when you’re spending regular time working on it, but any extended breaks you have, make it virtually impossible to remember your place and they’re a huge step backwards! So add into the mix, a year of living packed to the rafters with five adults and a baby (let me add, it was a beautiful distraction to be surrounded by family and to watch my niece growing into a little lady), a house move and six months of hideous migraines, I lost my place time and time again and there were days where I really didn’t know how this book would ever be finished. But I slowed down and stopped expecting so much from myself. Gradually life got easier. 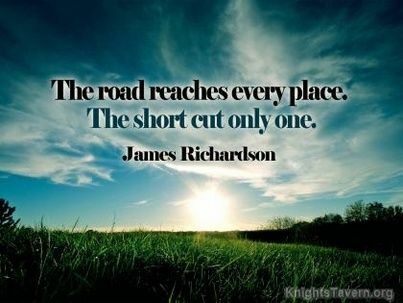 I chipped away and I called in encouragement whenever I needed it. I finally finished this book and proved to myself that being passionate about something is always stronger than any obstacle. Before I started this book, writing had always been a solo venture, but thanks to my writers group, I’m now surrounded by a wonderful group of extremely talented authors. These amazing people taught me how to use the English language in ways I hadn’t thought of before, they allowed me to understand how readers really think, they encouraged me when I struggled and were hard on me when I needed to be shown the truth. They’ve made me tougher, and wiser and one billion times better at doing what I love. 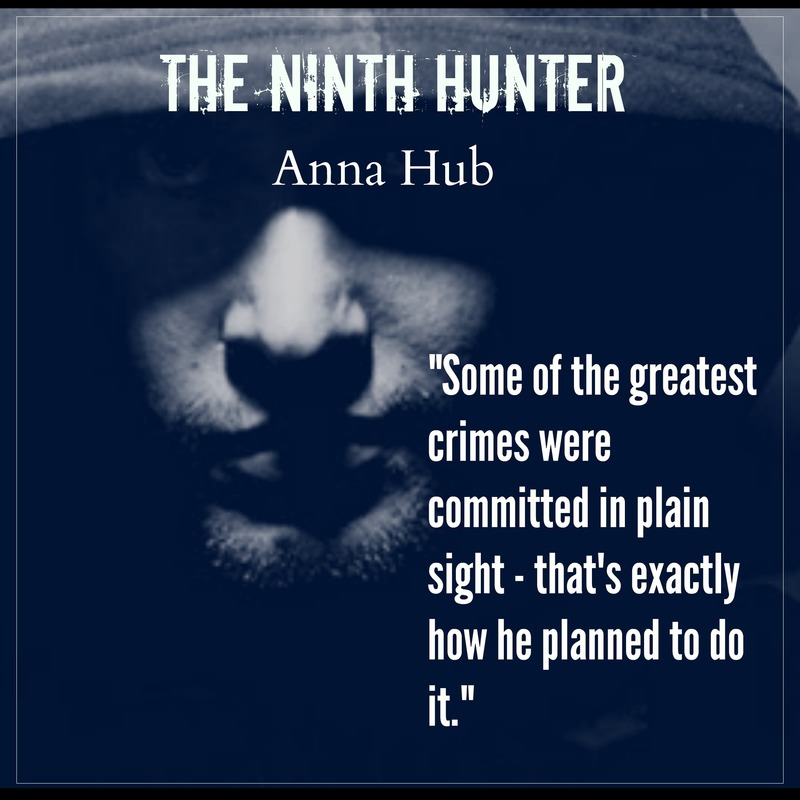 And six weeks post publication, the response to The Ninth Hunter has been overwhelmingly positive. Every time I read a review that talks fondly about Daniel and his struggle, I smile and think, that’s my struggle too. Join Me and Dream Big! Years ago I saw a documentary on SAS training. During the interviews one soldier said when you feel like your body has given absolutely everything it has, you’ve actually only used 30% of its capabilities. That concept has stuck with me, reminding me that most battles are lost within the mind not the body and whenever I feel like I’m ready to give up, I quietly tell myself, I have another 70% to go. This idea applies to so many things in life but when it comes to writing a novel, you really have to reach within yourself, pull out everything you have to give, and then some. People often ask about the challenges an author faces. They’re curious about the daily hurdles, the hunt for inspiration and the motivation to continue working on the same project for years. It is hard but sometimes those three words aren’t enough to explain the enormity of the task. So I wanted to give you a snap shot. To show you the true magnitude of how deep we need to dig as authors to make it through some of those last obstacles. I’m 2 years into my current writing project, The Ninth Hunter. And the truth is, this is the hardest book I’ve ever written. But it’s not the first time I’ve said those words and it certainly won’t be the last. Which is a good thing. It means I’m pushing myself, I’m learning and I’m getting better at this job every day. But momentum is everything in this craft and this is officially the longest time I’ve spent on one novel. Why? Mostly because of challenging and adapting life circumstances that couldn’t be avoided. All those hiccups dragged me away from the book and made it harder to keep my head in the game. And when you’re working slowly, your perspective warps and it’s easy to lose consistency with your characters and plot. Despite the hardships, I powered through. Over two years, I submitted 24 chapters of this book to my writers group and received detailed critiques from lots of talented people. I went through their suggestions fortnightly and updated my novel every step of the way. I finally completely the draft. I read the book from start to finish and rewrote my female character. TWICE. I sent the book out to 6 beta readers. I evaluated their feedback and edited the book once more. Then I began my last edit. The final step, the search for spelling and grammar mistakes. The sense of completion drew near, and I was more than ready to let this book go. It had been a long journey, but I’d given everything I had. Then I received final notes from a seventh beta reader and a couple of significant flaws were brought to my attention. I’d be lying if I said that wasn’t a crushing moment for me. Not because the feedback was harsh—it wasn’t. The review was honest and constructive but experiencing that shift from visible finish line to realising the marathon wasn’t over was a difficult moment. At first, disappointment took over but within a few minutes I realised how grateful I was to have a friend tell me what was wrong with my book before I published it and got bad reviews. And I had no doubt in my mind where I would go from there. I didn’t work for 2 years only to ignore a problem and release work that could have been better. If I didn’t fix the flaws, all the time I’d already invested in this book would be wasted. So today, I’m back at the writing desk. I thought I’d reached my limit but now the challenge has kicked in and I know I have another 70% to spare. 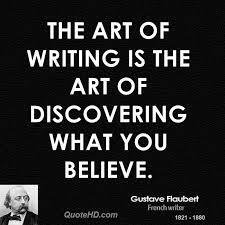 Ultimately, this is what I love about writing. I love how it replicates life, throwing curve balls and forcing you to push yourself right to the edge. And to the seventh beta reader, if you’re reading this, you already know how grateful I am for your help. It’s too soon to say exactly how long it will take me to patch up the holes, but there’s no doubt this book will be better because of it. Thank you! I have an author facebook page, a twitter account, a blog and four published novels—you’d probably feel safe in assuming I love to talk about writing … almost, but not quite. I view writing as a little gift to myself and I’d been working on novels for years before I made it public knowledge. Initially I was doing it just for fun and didn’t imagine it going anywhere but it wasn’t long before I fell deeply in love and I realised, if I wanted to be an author, it couldn’t be a secret anymore. If I truly wanted to be happy and satisfied with my purpose in this world, I needed to allow this passion to cross-over into every aspect of my life. It was the only way to become the person I need to be. So I started telling people and slowly let my writing travel a little further towards friends and eventually strangers. It’s been quite a journey to publication and the response from family, friends and random people I meet day to day, has been positive. In fact, overwhelmingly positive! So why do I still cringe when people ask me about my books and I’m unprepared? 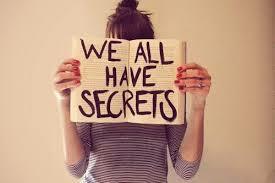 I’m not entirely sure but I guess some part of me will always view writing as a secret just for me. Almost as though indulging in conversation about it somehow subtracts from the reason why I write. It feels a bit like I’m seeking affirmation when in fact, it truly doesn’t matter whether people know about it or not, I’ll always be a writer. I think a contributing factor is the enthusiastic reaction I get when I tell people about my books. Don’t get me wrong, it’s an absolutely amazing thing, but people tend to get really excited and throw lots of accidental compliments out there. That’s when I get really shy and self-conscious. Consequently, I’m a bit guarded about my real life. When I meet strangers and they ask what I do, I generally tell them about my day job rather than the thing that really fuels my ambition. Eventually I warm up and tell them the truth, but that could be anywhere from minutes to weeks into our friendship. Maybe you’re reading this and realising it all makes sense. The way I confessed my love for books to you and then turned bright red and quickly tried to deflect the conversation. But maybe it isn’t as bad as it seems. I’m gradually beginning to understand the reaction from strangers actually has very little to do with me. People don’t gush because of my personal story, they gush because everyone can identify with the idea of following a dream. Isn’t that what we all want out of life; to love something so much we’re willing to sacrifice money, sleep, social interaction or whatever else it takes? People are excited because hearing your story makes them realise you don’t have to be extraordinary to follow your passion. All you need is an idea and to take a chance. Committing yourself to a dream is never self-indulgent it’s enriching and there is no reason I should feel self-conscious about that. Sometimes understanding the motivation of others is all it takes to reverse your way of thinking. So here’s my first step. Now the truth is out there but I don’t want people to think twice about asking for an update on my books because of this post. Once the first conversation is out of the way and someone knows my secret I could talk about writing until you fall asleep! I genuinely appreciate the people who continue to show support and interest, and you should know you’re helping me overcome my internal battle and build my confidence. That doesn’t sound too far from the truth! Disappointingly, I’m actually quite a slow reader. Seems odd for a writer, because I do read a lot, so you’d think I’d be faster at it by now. Unfortunately not. I mentioned this to my sister once and she asked, do you read slow or do you think slow? And I was much happier to accept that as the truth. I can read words fast but I like to mosey around the word gallery, taking my time, pausing to consider all the angles, what it meant to the writer and what it means to me. Consequently, I’m generally cautious about adding books to my TBR pile, and only do it when I’m super keen. Then I try to be really structured about the order in which I read them, taking from the bottom of the pile so everything is read in the order it is added. Sounds great in theory, but sometimes I jump the queue when I just can’t wait any longer. I used to commit no matter what, because I have a really hard time not finishing things I’ve started. But I’ve wasted far too many good reading hours on books I don’t like, so this past year I’ve actually resolved myself to giving up halfway if I’m not enjoying it. I’m too scared to commit to a Goodreads Challenge because I know it would destroy me if I couldn’t complete what I set out to do! Theoretically I’d commit, even if it meant I couldn’t sleep for an entire month. Hahaha, this destroys me! Worse than the covers not matching would be the size of the book not matching! I’m not a big fan of hard covers because they’re so darned heavy, but the thought of having one hard cover and two paperbacks would send me loopy! I tend to see it as my personal duty to convince everyone who loves it why they should hate it! Maybe they can see the fire in my eyes and decide it’s not worth debating. Most of them give in and silently nod (probably wishing they could punch me in the face). I try to avoid series until I know they’re finished to avoid this problem. I don’t have a great memory so I’d probably have to re-read. Tell them to get a Kindle. Happy to lend virtual copies 😛 Actually, in reality, I’d probably lend it despite the risk of not getting it back, or getting it back torn apart. I just get too excited to share the experience with someone. You’ve picked up and put down five different books in the past month. How do you get over your slump? This hasn’t been a problem for me so far. I’ve always read through slumps and eventually they fade away. I can easily resist buying digital copies but if I go the book store I’m in trouble! Could be anywhere from a week to a year, it depends how many others are next in the queue! It’s no great secret; I’m not particularly good at dealing with stress. But who is? Maybe some people handle it better than others but for me, it’s a weak point that I’m well aware of. That’s why I’ve tailored my life to a point where I can feel both challenged and controlled. I’m extremely introverted, so pretty much any social situation comes with a degree of challenge. I absolutely love spending time with my friends and family, and I have a pretty active social life which is really important to me. But four hours is pretty much my limit for social interaction. I can certainly stay out longer but once that fourth hour hits my eyes glaze over and I long to be alone. I do plenty of other things that are outside of my comfort zone and I embrace and enjoy them as a necessary part of my personal development—but that’s a whole other topic. To keep my stress levels low I like to stick to a good routine. I practice yoga and I meditate, but most importantly—I write. Over the years I’ve wondered why writing helps me so much and while I know it fuels a passion which makes me feel alive, I felt certain there must be more to it and I’ve finally put my finger on it. Funnily enough it was a yoga teacher who gave me the insight to recognise it. I generally practice yoga at home but recently I went to a class and found myself subjected to some philosophical wisdom. During the session the teacher guided us into a difficult posture. It was pretty painful and I can’t remember how long we had to hold it but while we were in place the teacher reminded us to think of the posture as a symbol of the challenges we face in life. 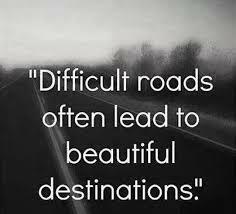 Often we shy away from the things we find difficult or painful but it’s important we experience them and learnt to deal with them. The posture is uncomfortable and your body is begging for release but you use your breath to acknowledge the difficulty and build confidence that you can progress through it. Days later I had a particularly tough day at the writing desk. I’d been working really hard to finalise my editing process when I suddenly hit a wall. Nothing seemed to fit and I felt irritable and frustrated. 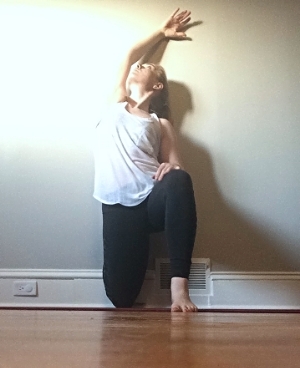 Then the yoga philosophy ran through my head and the two things clicked into place. While writing a book, there are days when it’s hard and unforgiving, where progress is slow and success seems too far away. There are problems that need to be solved and solutions where you never expect to find them. There are also moments of pure joy and sometimes days of never ending self-doubt. But you keep going, and after days, weeks, months, years … you realise you’re done. Amongst those pages are all your fears, every tough day and all the happiness you experienced in your life as you wrote it. Writing is a mentor, a place for you to face your demons in a context you can control. It forces you to acknowledge all that you’re afraid of and find a way to live beyond it. 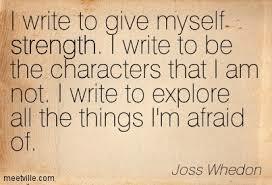 Writing is the teacher who works on your own time, harnessing your insecurities until you’re ready to face them. There are times when I’m tense with action or solemn with the despair of my characters but at the end of the day, all of those things have lived inside of me. I can externalise them in my book and look at them objectively. Although it’s taken me a while to understand how this works, my instinct has been right all along. So if you’ve ever thought about writing a book, you should absolutely get started. 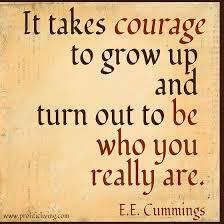 It will be the most difficult but rewarding thing you can do for yourself and you’ll come out of it a better person. I’ve said it so many times before, but I’ll say it again—thank god I have this beautiful thing in my life! Big Plans … Big News! It’s been a long time since I’ve written a blog post and I have to say I’ve truly missed it! As I worked on this draft last night I realised it’s my three year blogaversary this month, and I’m only just managing to scrape in a post on the last day of March – phew! A lot has happened since my last update, but before I get into things I wanted to apologise to those who follow my blog via email. You may have received weird updates over the last few days, that I intended to publish as pages on my website and may have accidentally published as blog posts. Sorry about that! So it was some time last year when I last wrote a personal blog, and as much as I love sharing cover reveals and book tours, there’s nothing quite like a ‘from-the-heart’ blog. They’re the ones that tell a story. The ones I can read back on in years to come and remember where I was in terms of writing. Some of you already know the last few months have been a bit of an ordeal for me. I’ve spent a good chunk of that time suffering through migraine hell. While I’ve had migraines on and off in the past I’ve never experienced them on the level I have this past year. Unfortunately, the writing I love so much was put on hold as I struggled to make it through my paid job and daily activities. The worst part was not being able to read or write—an author’s personal hell! It’s been a great emotional and physical challenge to maintain some control over my life, but despite everything I held onto the value of hope. With hope we can make it through anything. I worked really hard to stay positive and while there were certainly moments where I could do no more than cry, I was determined that the migraines would either go away or I would find a way to live with them and still do what I love. The good news is I’ve been trialling different medications and I’m finally onto something that seems to be helping. It’s been weeks since my last migraine and I finally feel like a normal person again. As soon as the cloud lifted I threw myself back into my writing, determined to finalise my latest book while I can! So I’ve been working like crazy over the last few weeks, preparing my novel for beta readers so I can get one step closer to the publishing process. I’ve managed to build a lot of momentum over the last few months and that is the one good thing I have to say about migraines. The whole experience has really driven my passion for writing and I have lots of exciting new things planned for this year! Today I’m launching my new website which is now linked to the blog. You can browse the menu bar at the top of this post to have a look around. This new format will allow me to update the pages regularly and add new content about upcoming news, book releases and giveaways. I finally have a title for my upcoming novel — The Ninth Hunter. I’m still working on the blurb, but I can tell you the story centres around Daniel Barrow, a young ghost hunter who’s about to discover everything he’s trained for is a lie. While there are dark elements in this story, the plot revolves more around Daniel’s personal struggles as he discovers who he is and searches for redemption. I don’t want people who are easily spooked to be put off by the concept, in truth this is a ghost story for people who don’t like ghosts—consider it a gateway novel to dark fantasy! And finally, new editions and the re-release of the Shadow Series! For a long time now, I’ve been haunted by the idea of anyone reading the Shadow Series. Mainly because I’ve grown so much as a writer and like anyone I cringe at the quality of my past writing. While I don’t want to go backwards and I certainly have no intention of getting stuck in these books, I feel like I need to conduct one final edit before I can have the confidence to share these books with the world. It’s been a tough decision and I’m sure it’s going to be torture working through an old story, but I’ve finally made the choice. The Shadow Series will be getting a 2015 makeover! So there it is, big news and big plans for this year! And what better time to share it with you all, than my three year blogaversary! If you want to help me celebrate, sign up for my newsletter on the menu panel above. I’ll be sharing exclusive news about writing life and my latest good reads. Thanks for following my blog and making the last three years worth it! When I tell people I’m a writer they automatically assume I read a lot. And so they should. How strange would it be if a musician told you they didn’t enjoy listening to music? I do read a lot. I’m not fast but I always have a book on the go. There was a time, however, when I was a new writer and I found reading difficult. I used to get so distracted by other books. I only had space in my head for the story I was writing. 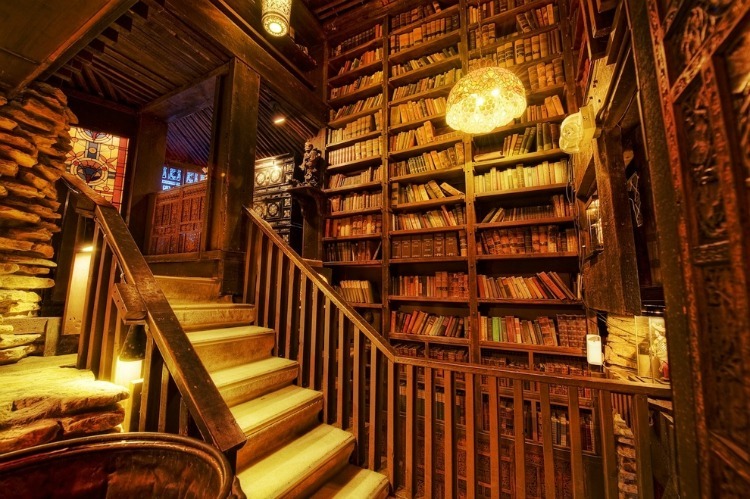 If I did dare to read another story, I found it influenced me too much. I was afraid of copying other people’s work, but not only that, the author’s language used to creep into my subconscious! If I was writing third person and read a first person story, suddenly the POV switched in my own book. My characters sometimes took on different voices, the mood shifted, and I didn’t realise I was doing it until I’d stuffed up a few chapters. Eventually I came to the conclusion that I couldn’t read while I was writing. 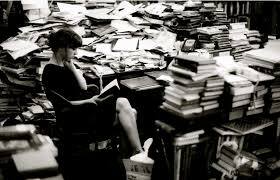 So I’d save my reading pile for when my manuscripts were finished, then read like crazy while editing. Once the editing was finished I’d put the books down and start my next draft. For a few years it worked just fine, but a writer is nearly always writing and I was missing out on a whole world of amazing stories! Still, I accepted that was the way it had to be. Maybe I was just more easily influenced than others. It was only during a recent conversation with a writer friend that I realised this wasn’t a problem anymore. After spending a good eighteen months editing the Shadow Series, I had a good run at reading again. So when my books were finally published I kept going, even when I started writing a new manuscript. And now, all those other stories don’t influence me anymore. Upon reflection, I understand where the problem lay. I was a new writer and I hadn’t found my own voice yet. I was searching for myself, and accidently taking on the style of other writers was really just a process of trial and error. Now, I know myself. I have my own style, I have confidence in my stories and know what works for me and what to stay away from. In the end, I guess you really can have it all. 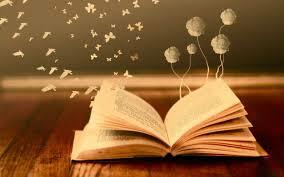 I read until my heart is content, and write without losing sight of myself. But now I’m curious, have any other writers out there experienced this too?